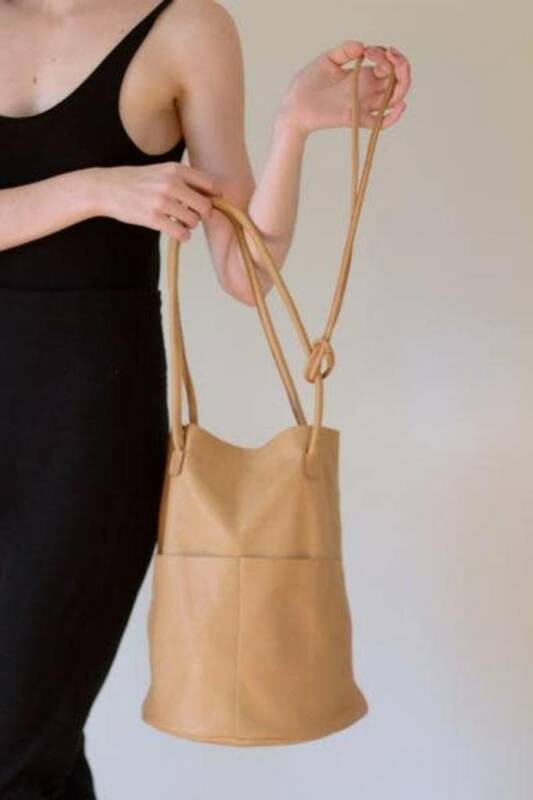 Shoulder bag with circular base, two rolled shoulder straps and two exterior pockets. Unlined leather. The looped key strap is a convenient detail that is detachable and simply wraps around the shoulder strap, long enough to reach the lock on your door. A classic style from our core collection. 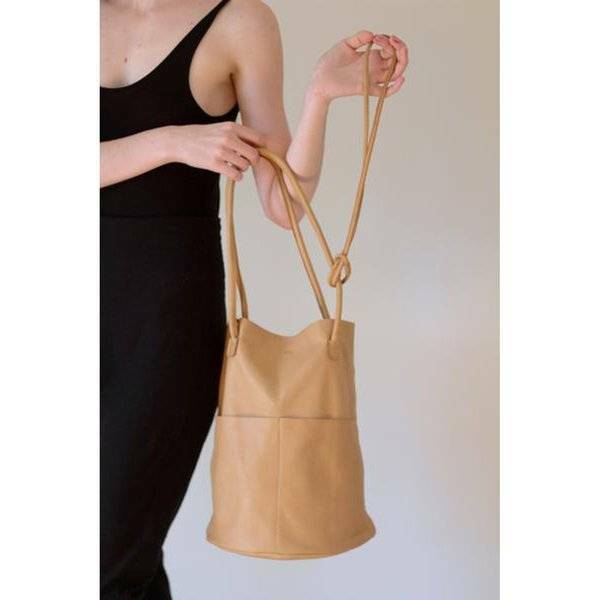 Are Studio specializes in leather bags and clothing that are minimal and timeless. 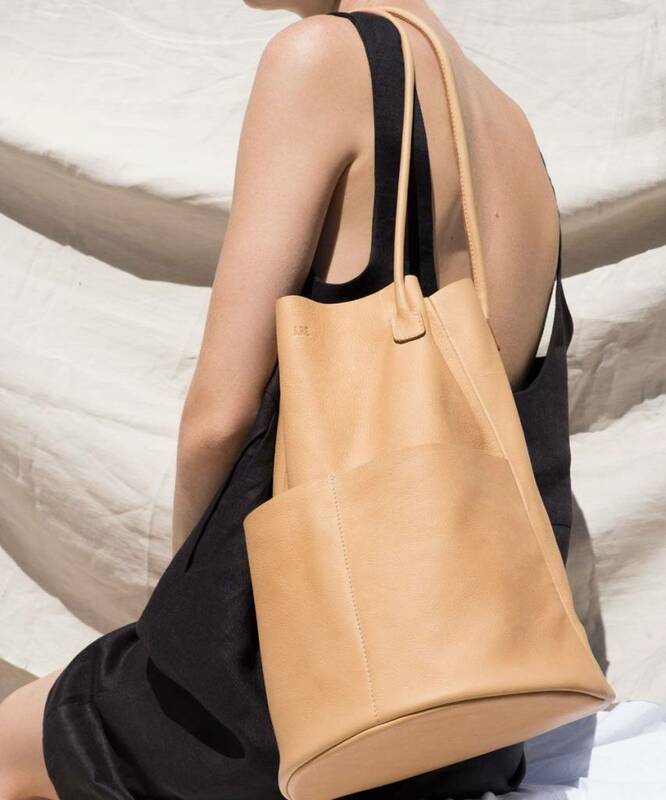 Bag designs serve as a clean slate for each person to make their mark and personalize the bag they carry, depending on the everyday staples they pack. Each surface impression serves as a record of life experiences and reflects the inadvertent patterns that make each person unique. The company was established in 2012 by Cecilia Bordarampé, a Los Angeles based designer. She is a graduate of the School of the Art Institute of Chicago where she focused in textile arts, photography and art history. The Are Studio name was inspired by the plural and present tense form of the verb to "be." Its existential implication relates to the objects we choose to adorn and surround ourselves with daily. 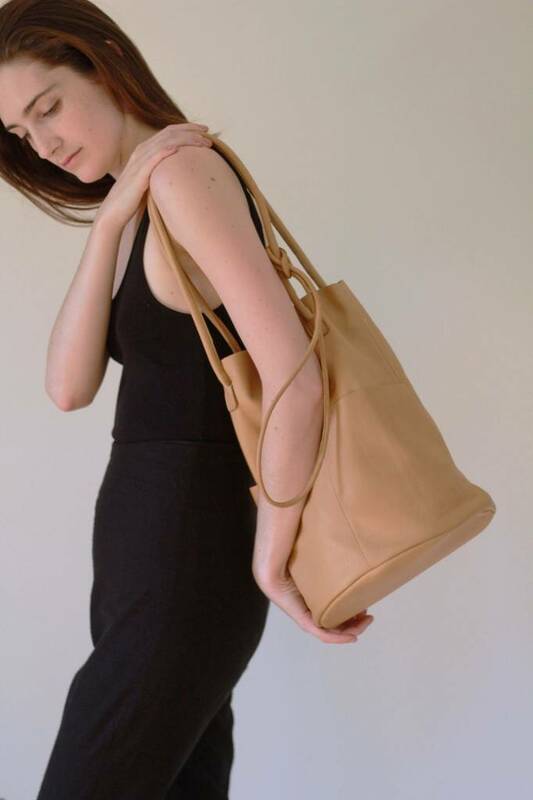 Are Studio bags are made by hand in Los Angeles, CA. Are sources materials and supplies from local family owned manufacturers and businesses in Los Angeles. An eye toward minimal waste is key in the production of Are goods. Every leather hide used is unique with slight imperfections and variations in color, making each bag a one of a kind. Are Studio clothing is made by hand by family owned businesses in Los Angeles, CA. Overstock and deadstock fabrics are used during production whenever possible.